Coupon may be presented at any time during presentation. Not valid with any other offer. Coming right out of the corporate furniture industry back in 1979 allowed us to determine what we wanted and did not want for all of our clients and customers. 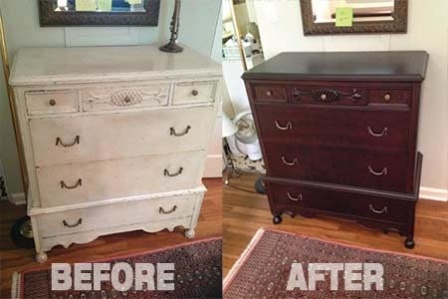 When we refinished our first piece of furniture and redelivered it back to our customer, we still remember the look on their face and what we had accomplished was very satisfying to say the least. We have built this business one customer at a time and now have served thousands of satisfied clients. FinishSmith Furniture Refinishing and Upholstery is family-owned and operated servicing all of Ohio. Ever since our first refinishing job, we have treated every customer like they were a part of our family. Other companies may offer similar services, but our services come with a personal touch. Training our staff to follow that protocol is how we have grown into who we are today. We are proud of who we are, what we stand for and what we have accomplished along the way. The knowledge and first hand experience makes all the difference when producing an estimate and really knowing exactly how the end results will turn out. Furniture Refinishing, Upholstery and Restoration starts with hand stripping each piece down and bringing all of your treasured pieces back to their original state as our starting points and bringing them back to what they were in their original state or a whole new look can be brought to your decorative ideas with complete color and design change. So, we can provide you with furniture restoration and/or furniture repair for all your wooden furniture. The FinishSmith Kitchen Cabinet Refinishing Process has been made simple and effective for all of our valued customers. Your Doors and Drawers are Picked Up and Refinished at one of our FinishSmith locations. After all doors and drawers are finished into desired colors and finish, dates are set for kitchen cabinet carcass and outside frame work to complete the process for matching to your new finish. Starting at beginning of day and completed by late afternoon in most cases. Note: Using our Proven process, 98 percent of all kitchens refinished by FinishSmith since 2014 only required one full day in home to complete the FinishSmith process. The results are truly amazing. Our satisfied customers are amazed with the transformation! Start in your Old kitchen with coffee, HAVE YOUR NEW KITCHEN by DINNER TIME!!! 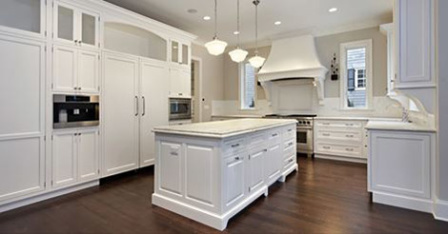 If you’re in the need of a fresh, overall kitchen design, a spectacular kitchen cabinet design, refinished kitchen cupboards and don’t want just cabinet refacing, then call us. 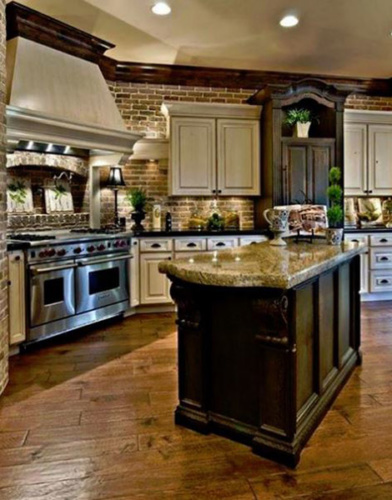 We can refinish your custom cabinets and wood cabinets. 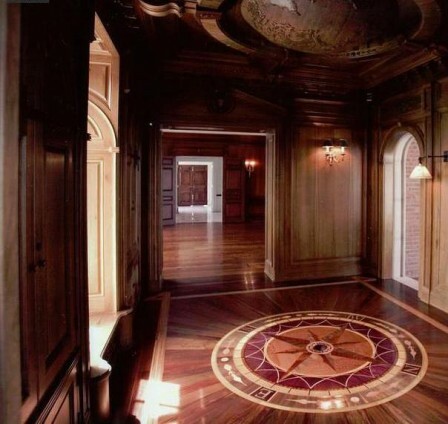 We also specialize in hardwood floor refinishing.